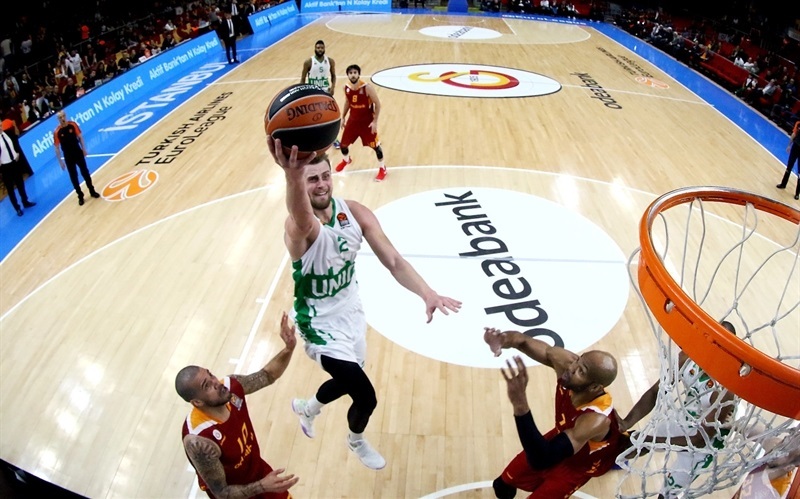 Galatasaray Odeabank Istanbul won for the third time in four games by stopping Unics Kazan 75-67 on Wednesday at Abdi Ipekci Arena. 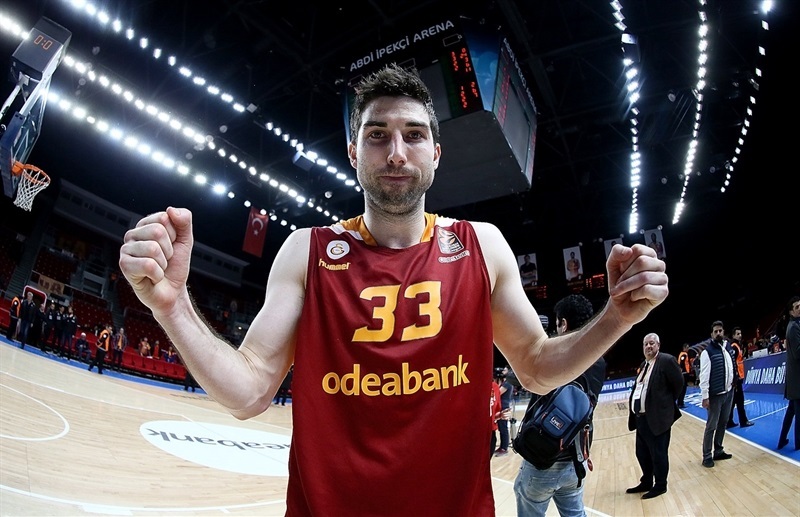 Jon Diebler shot 5 for 6 from downtown en route to 17 points to lead Galatasaray, which improved to 10-17. The loss dropped Unics to 7-20. 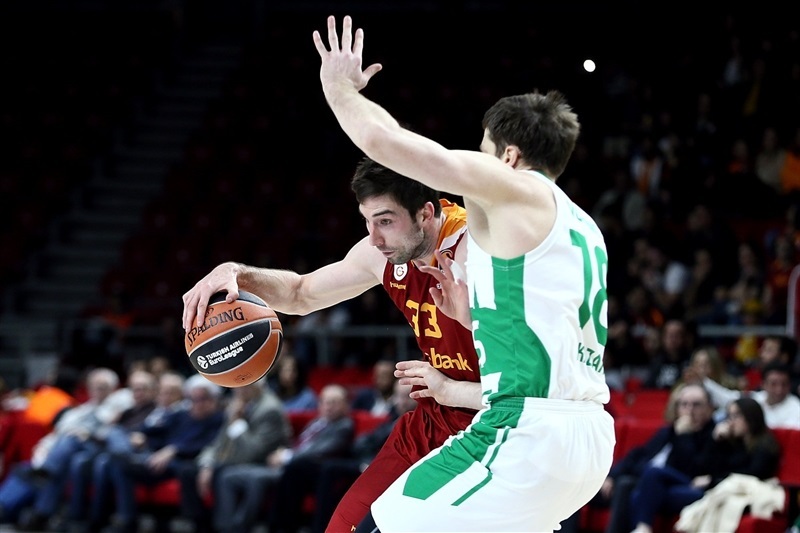 The visitors led by as many as 7 in the opening quarter, but after Galatasaray came back to within 21-23 after 10 minutes, the hosts went on an 18-3 second-quarter charge and never looked back. 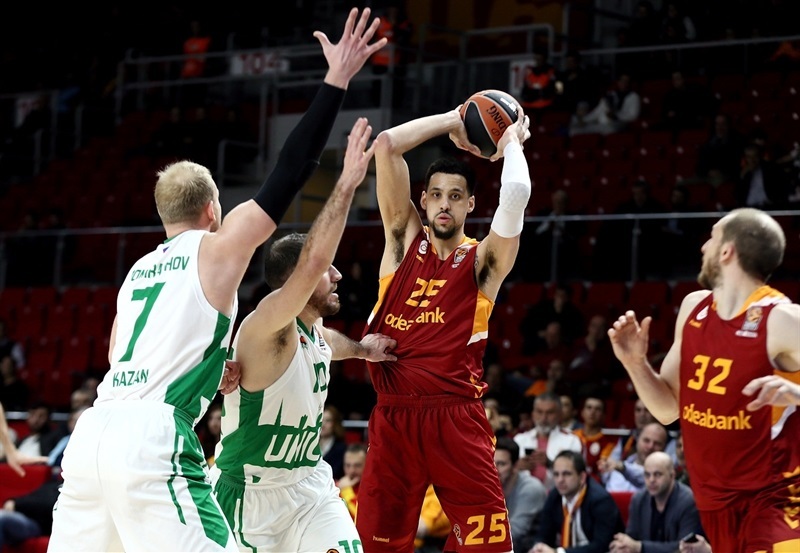 Austin Daye added 12 points, Alex Tyus scored 10 and blocked 3 shots to move into eighth place on the all-time EuroLeague charts with 141 rejections and Blake Schilb amassed 9 points, 7 rebounds and 6 assists for the winners. 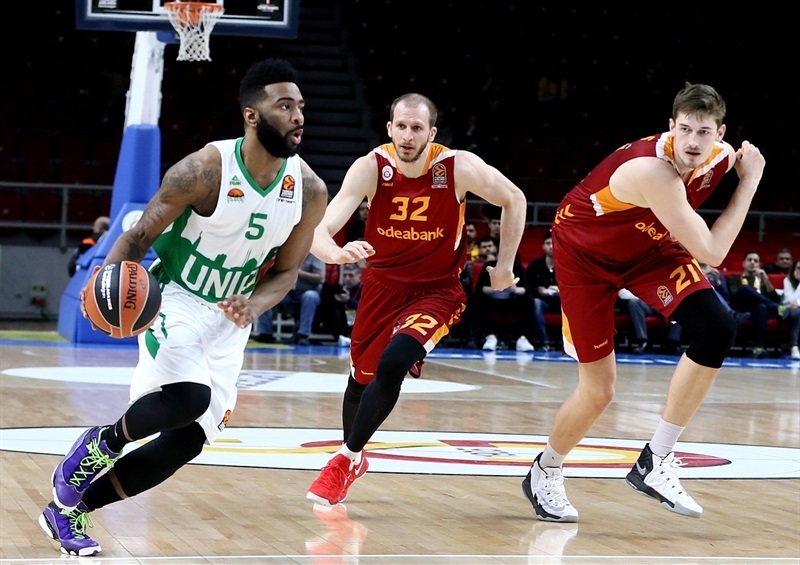 Keith Langford was 10 for 10 from the line and scored 24 to lead Unics and Quino Colom added 11 points and 6 assists in defeat. Vadim Panin and Daye traded three-pointers to open the scoring. Colom used a steal and layup to put the visitors up 3-7. 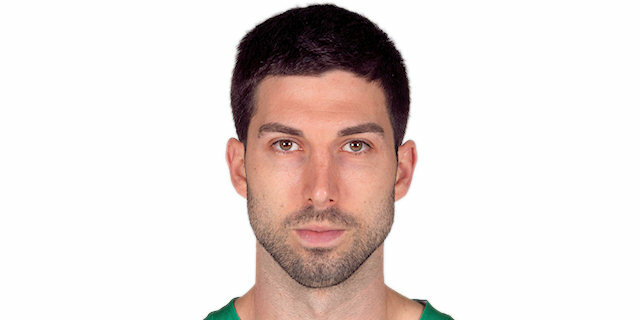 Despite Tibor Pleiss’s alley-oop slam, Panin hit again from downtown and Pavel Antipov did the same to make it 8-15. 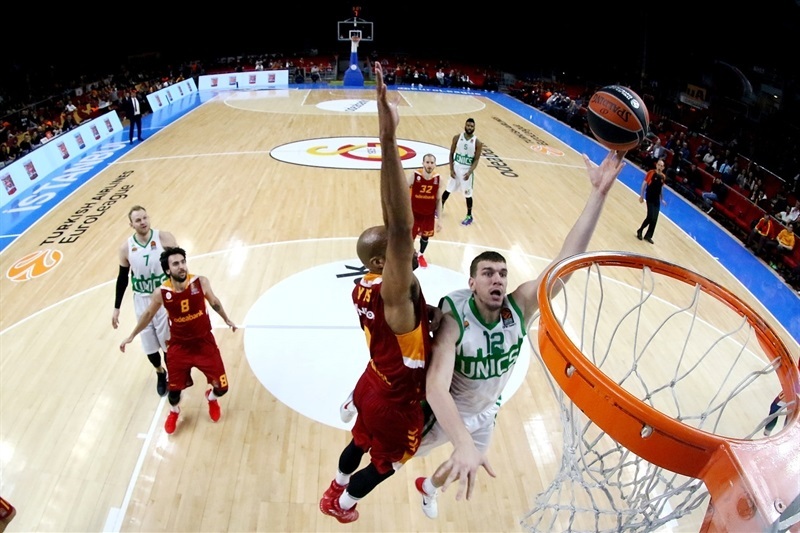 Diebler heated up for Galatasaray and his third three of the night closed the gap to 16-18. 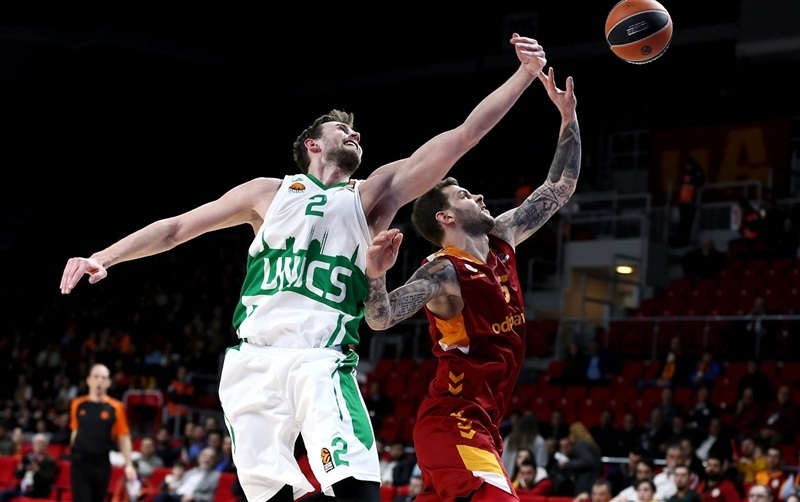 Tyus completes the comeback with a jumper for a 21-20 Galatasaray edge, but Langford’s three-point play gave Unics a 21-23 advantage after 10 minutes. The trio of Tyus, Schilb and Bruno Fitipaldo got the hosts attack on track by leading an 18-3 charge for a 39-27 lead. 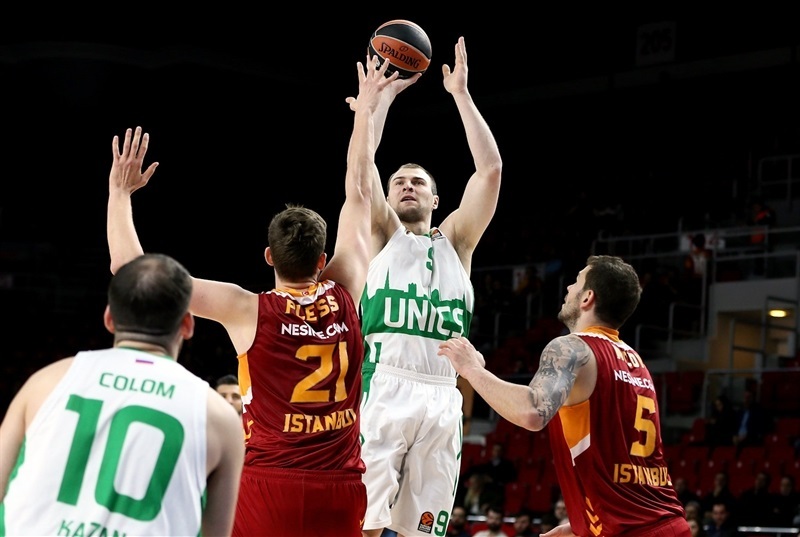 Antipov ended a five-minute scoring drought for Unics with a layup, but back-to-back threes by Diebler and Daye gave the hosts a 45-29 halftime advantage. 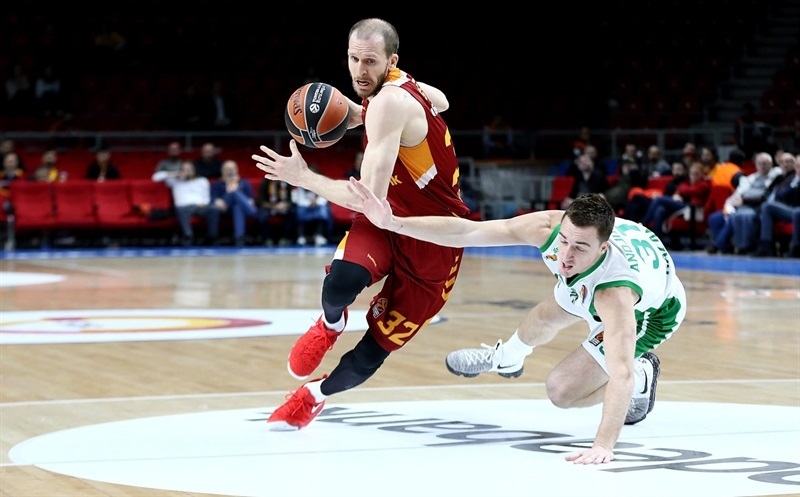 Pleiss sank a hook shot to take the margin into the 20s as Galatasaray scored the first 5 points of the second half before Art Parakhouski’s bucket inside. A 0-6 Unics spurt gave the visitors hope, but Vladimir Micov’s three-pointer and Tyus’s free throw made it 57-41 through three quarters. Tyus added 2 more blocks to his tally as the hosts remained comfortably ahead. 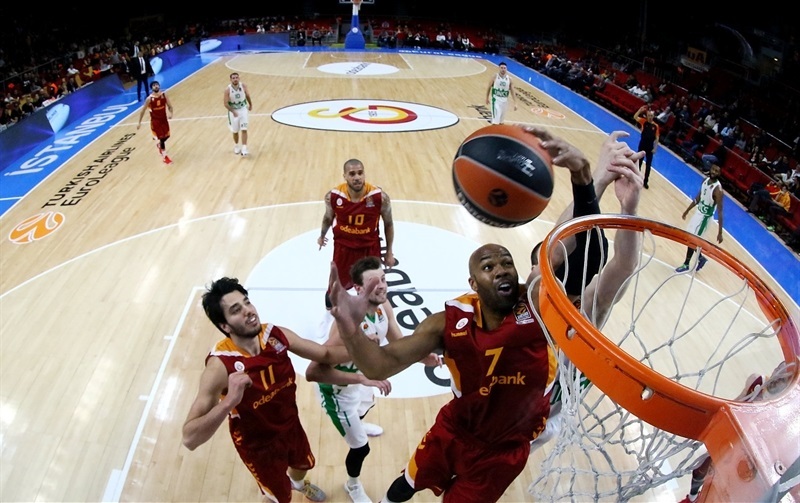 Langford heated up late to cut away at the deficit, but the outcome was never in doubt as Galatasaray cruised to victory. "This is very important for us because after the bad start with 0-5, after we changed some players, we changed the team and we found our way. We started to play great basketball, especially in the second half of the EuroLeague we are playing great and also tonight. We played great defense after a bad first quarter, we started the game soft, but after we started to play very aggressive with the bench players. I am very happy for my players and we will continue to play the remaining EuroLeague games like this. If you look at the average numbers of assists in the EuroLeague, we are third. Also if you look offensively, I checked all the statistics, we are in good situations, sixth, seventh, eighth. This means we play very good basketball on offense. Today we started soft, but after the fifth minute we found our rhythm and we played great basketball. " "The EuroLeague is tough, every game whether it’s a home game or a road game. 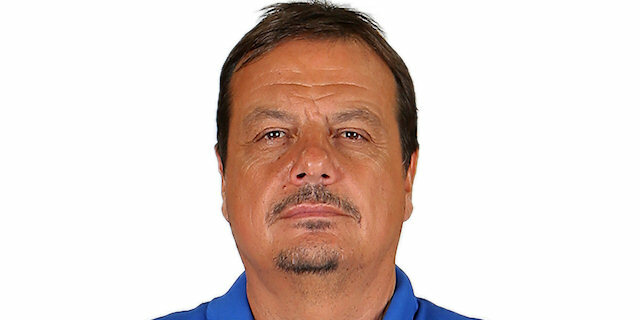 Coming back from a win at Olympiacos and then playing a tough Turkish League game against Besiktas in a short time and then preparing for this team is very tough. We played well. They had 67 points, but for the most part, except for a couple baskets at the end, we played good defense. "